Now I’ve loved history for as long as I can remember. In fact, I think I fell in love with the past and everyone living there when I was a child and saw Roger Moore gallop over the hill on that white charger in Ivanhoe on our 12-inch black and white TV screen. I love historical novels of all kinds. I’ve devoured them since senior school. In fact, I rarely read anything else. I’m not fussy about the time period and will read anything as long as it’s a good story. I love the period detail and, like any reader, relish being transported back in time. When I started writing, sixteen years ago, there was never any question as to what I would write. It was historical fiction. It’s clear from my covers that I write what are commonly called sagas, known in the publishing industry as Clogs and Shawls. Call me a little-over sensitive if you like, but I get the feeling that when people talk about historical novels they tend to be thinking about Dark Age mysteries, medieval tales of valour or Tudor political machinations. Such people tend not to consider sagas to be part of the historical fiction genre. Sagas are usually either set in the 19th century or early to mid-20th century, the Second World War being a hugely popular era to set such tales. More often than not, they are set in working-class communities linked to a regional industry such as coal mines or iron works, in pre-war industrial towns or, as in my case with East London, they are in an identifiable location. 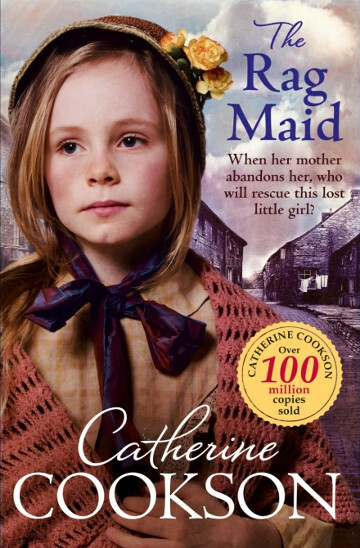 The founding mother of the saga genre was, of course, Catherine Cookson in the 1960s. 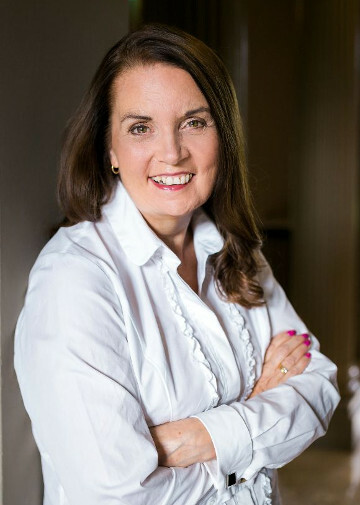 Her stories dealt with the harsh realities of poverty and the hardship of working-class women’s lives rather than a glittering world of balls, royalty and receptions. 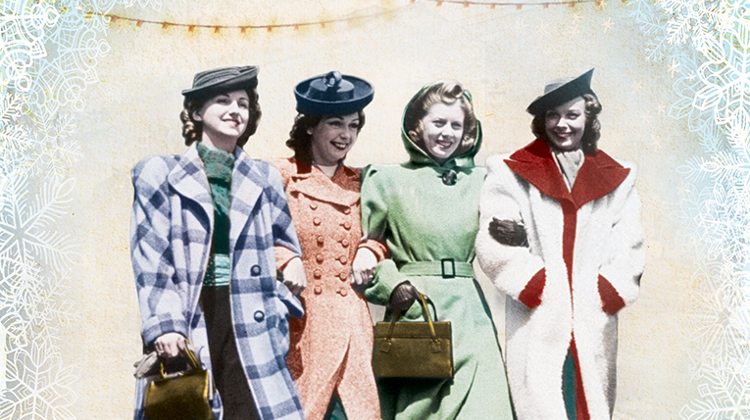 Servants and factory girls were the main characters, and it was unlike anything that had gone before. They were avidly consumed by ordinary women up and down the country. Of course, like other literature, sagas have changed in the intervening decades. The tradition of following our heroine’s trials and tribulations through several decades, as she grows from barefoot child to mill owner, has moved on. Nowadays, most sagas span a year or two at most. In fact, my current saga, A Ration Book Christmas, takes place from August 1940 to Christmas in the same year – just five short months. You can’t use them as doorstops any more either. Whereas a few decades ago 130,000–150,000 words were quite usual for a saga, now most sit within the more common word count of 100,000–110,000. They’re often very un-PC, featuring themes which are totally unacceptable today and, as with all historical fiction authors, saga writers walk the tightrope of portraying the attitudes true to the time in which the story is set without alienating or offending a 21st-century reader. However, despite striving for the same excellence as all other fiction, sagas are looked down on by many literary critics. There has been plenty of debate about the issue of bias against women in publishing so I’m not going into it here, but, in this regard, sagas are doubly dammed. Unlike many other genres, sagas are not only predominantly read by women, but they are also largely written by women who, for the most part, come from those down-to-earth and unpretentious backgrounds they write about. There was an article in the Bookseller a few weeks back where someone asked: “where are all the working-class writers?” Well, I can tell you where many of the women working-class writers are: over here, writing about their heritage and about working-class hidden histories in sagas. The heroines of sagas don’t get involved in court intrigues or plots, don’t have affairs with influential figures, but are ordinary women struggling against almost overwhelming odds to – dare I say it – find love and happiness. And what’s wrong with that? While the characters work within, and are affected by, social and political events surrounding them, the worlds that saga writers portray are domestic ones concerned with everyday life such as caring for sick children, keeping a roof over their heads and having food on the table. To my mind, sagas stand alongside and equal to any historical fiction you care to name, as they explore the lives of women who, though often invisible to history, were the foundation of the modern world – and us. It might be heroic to fight a tyrant to free an oppressed people, but it’s equally heroic to raise a family in grinding poverty or without antibiotics, and sagas celebrate those heroes. 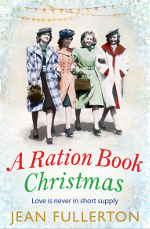 A Ration Book Christmas by Jean Fullerton is the second of her Ration Book novels, set in the East End of London during the Second World War. Find out more.